I am passionate about internet safety and protecting the digital footprint of my children. 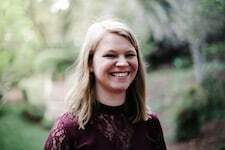 A huge thank you to the Mom it forward Influencer Network and to Google for sponsoring this conversation about how to discuss internet safety with young kids in order to Be Internet Awesome on Safer Internet Day and every day. She looked at me with a puzzled look because, to her, the computer was just entertainment or a service to facilitate her own life. She didn’t see it it as a responsibility. While it’s not the first time we’ve talked about the dangers of talking to people about where we live or phone numbers, it’s the first time she and I really discussed digital footprints. Or how the things we see and say online can impact our own lives or those we love. As a teacher, I stood in front of classrooms full of teenage kids who had no idea how to use the internet. Sure, they could explain social media networks and browse for days, but they had no idea what a powerful resource was at the very tips of their fingertips — A resource both for them and against them. So I had I made a vow to help teach each of of my own kids while they’re young what it means to be a good digital citizen, teaching them that a citizen is a place where someone lives and has responsibilities to contribute and make mindful decisions in order to work together for a better internet. Read more about how to help your family create healthy digital habits. 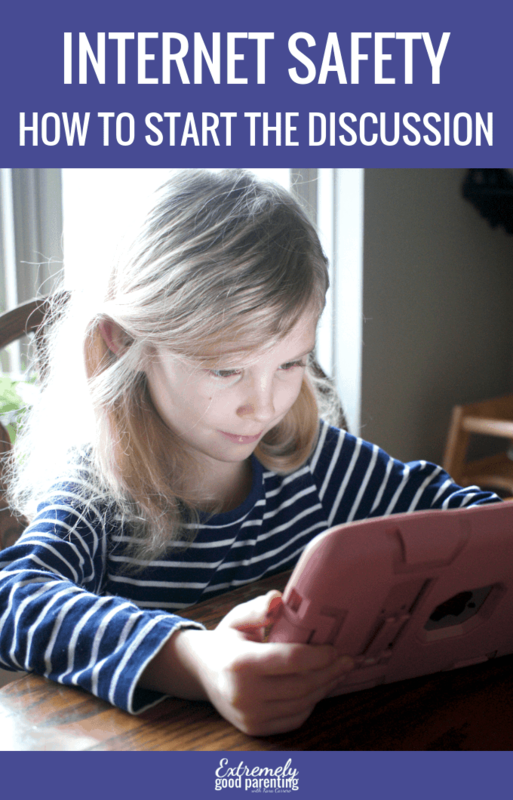 What do we need to teach children about digital citizenship to “Be Internet Awesome”? First, we have to help them understand that they literally live in their digital footprint. Because this point is what fuels the two main rules our family employs when using technology. Living in a digital footprint means that we teach our kids they’re not just passive bystanders to what happens online. Watching YouTube videos can be fun, but someones people take advantage knowing that young kids will be watching. Even more benign, but still important, it’s a search history that is created in association with our household an a family email address. And just like in the real world, people only know what we tell them. So what are you telling the internet? 1. You must live online in a way that maintains who you want to be seen as in real life… forever. Would you say mean things to someone just because you could to their face? Would you tell a stranger in the store down the road from your house where you live or the times you’re usually not at home? Would you make it known to everyone you meet what your name, birthday, favorite color, and other chain-mail type answers are? Would you walk on your front lawn naked? Or even change clothes in front of a window? The answer is most likely no, especially the older the child. But we have to teach our children that there is no internet veil. The internet is real and who we are there is who we are everywhere. So as kids get older and make more and more decisions online like whether to look at something inappropriate, whether to say something mean to someone just because we’re not face-to-face, or what information to share about themselves, we have to teach them that the footprints they’re leaving behind don’t just wash away like sand on a beach. It’s important to start this conversation while they’re young. While they’re wildest dreams are still realities. We can teach them that pictures are forever, words matter, and actions will follow them. We must help them understand that they should assume private conversations online are not private and that whatever they say could be printed, sent as an image, or saved. We can point to examples of politician with ruined careers just because of a photo that is uncovered from 25 years ago. But more apt for young kids, we have to demonstrate to them that whatever is attached to their name can be saved, shared, and forever remembered even if they try to delete it. 2. Smart decisions start with how we use the internet and know the internet is using us. No tin hat here, just simple algorithms and advertising. It’s important that we are teaching family and kids to be safe digital citizens with a thoughtful digital footprint because it’s more than just using it for resources and entertainment. If we can input information, someone else can access it. “The internet” in this sense can be advertisers, but it could also just be the people we associate with. There are stories of kids playing video games with adults looking to fish for information whether benign or for malicious reasons. And our kids need to know that. They absolutely must understand that anything they put out cannot be taken back and can be used in ways we didn’t intend. We’ve tried to help my first grader understand this by explaining that even telling someone what school she attended could mean someone knows where she is. For other kids it might even be that searching for a certain game video means they start getting advertisements for similar products. It doesn’t have to be all bad, but our kids have to learn that there is a relationship in using the internet and it’s never one sided. 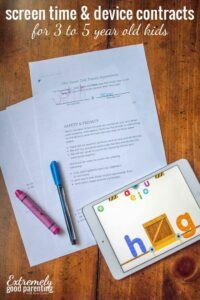 Google has created an awesome program called Be Internet Awesome and it’s the perfect way to make sure you’re talking it out as a family and even getting your child’s school discussing strategies to make the internet a safer resource for our children at every age. There’s a pledge your family can sign, resources to learn more about security, kindness, and more, and even an interactive learning platform for kids! 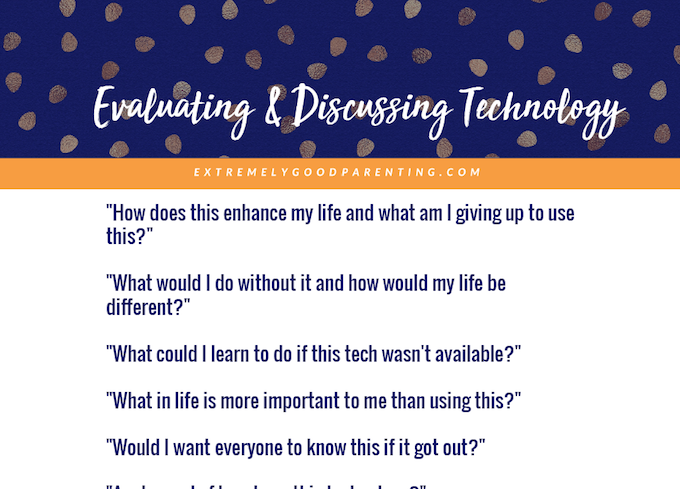 Start a family discussion about technology today. 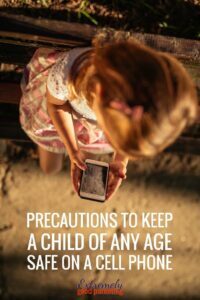 No matter if your kids are in the 3-5 range or are already tweens and teenagers wielding their own phone, it’s an important topic to continually talk about. If you see a question you would add, comment at the bottom of the post! The questions you see above are available in a free download for you. Simply click on the image below so that you can get it sent directly to your email address. This is certainly SO important!! great post .. Educate your child, and educate yourself—keep up to date with what is going on in your child’s life and in the internet community.Internet independence has to be built up gradually over a period of time, and with guidance. 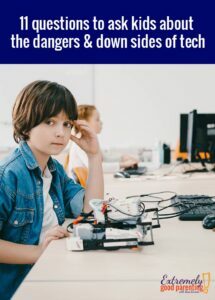 Educate your child, and educate yourself—keep up to date with what is going on in your child’s life and in the internet community.Internet independence has to be built up gradually over a period of time, and with guidance.